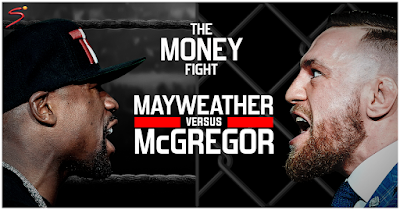 SuperSport is bringing Floyd Mayweather jnr versus Conor McGregor - the richest, most-hyped and over-the-top boxing fight in history - to viewers across Africa! ‘The Money Fight’ will be broadcast only on DStv – and will air live and in glorious HD on SuperSport 2 and Maximo 1 in the early hours of Sunday, August 27. DStv Premium customers will be treated to a ringside view when SuperSport crosses to the T-Mobile Arena in Las Vegas at 2am for the action-packed undercard, with the main bout expected to start after 4am. Unlike in the US where the fight will be available on pay-per-view in HD for $99.95, DStv customers will enjoy the event as part of the DStv Premium offering, at no extra cost. In keeping with the tradition of showcasing super-fights, from Marvin Hagler versus Tommy Hearns and Mike Tyson versus Michael Spinks to Mayweather against Manny Pacquiao, SuperSport has been in the forefront of delivering the most-anticipated events in the world of sports. Billed as “The Money Fight”, the contest has drawn as much praise as it has criticism for the nature of the match-up: boxing’s most celebrated fighter of the last decade against Mixed Martial Arts’ most resplendent star who has yet to engage in a professional boxing fight. Big fight fans can watch via their decoders or on DStv Now, online or the app. Highlights of the fight will also be available on DStv’s Catch Up service in the hours after the event while Catch Up Plus, available on connected Exploras, will carry the full fight later in the day.